If you are a Music Coordinator, MOE Teacher or HOD looking for interesting music classes for your MOE School students, Advent Music would love to get in touch with you. 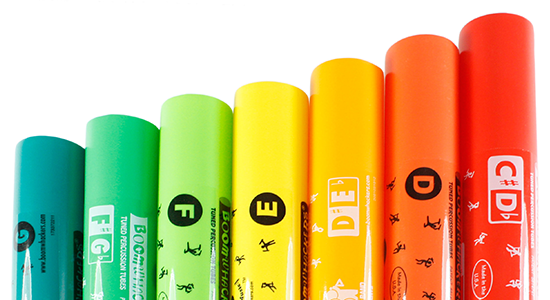 Boomwhackers are hollow, coloured, plastic tubes that sounds a musical note when hit. It is a great way to learn music and practice coordination as well as cooperation between team members. Students will produce music with boomwhackers using the right techniques and timing. Students will be able to perform an impressive boomwhacker ensemble song. Students will be able to read music notation and apply it in playing boomwhackers. Students will learn the important skills of Self Awareness, Social Awareness, Self Management, Relationship Management, and Responsible Decision Making. Students will learn and sing in solfege. Students will be able to use Curwen hand signs together with the solfege. Students will play a simple song using boomwhackers. If you are looking for specialized and unique music classes to bring to your school, Boomwhackers are a great and fun way to learn music. Your MOE School pupils will really enjoy themselves as they work together to play a song. Every player is significant and needed. pupils will learn different skills in the Boomwhackers class.